Requirements for greater fuel efficiency, the desire of riders for high-quality riding experiences, and the need for enhanced safety have altered mass transportation (mass transit buses, railcars and aerospace) design and manufacturing processes. Using buses as an example, design teams and OEMs have replaced steel and aluminum components with thermoplastics and thermoplastic composite materials. Upgrading to thermoplastic components typically results in a 55% weight savings and meets the static loading requirements of the American Public Transportation Association. With material options that are industry compliant, rigid, and durable, and a manufacturing process that enhances design capability and lead time, thermoplastics are being used more and more in transportation. 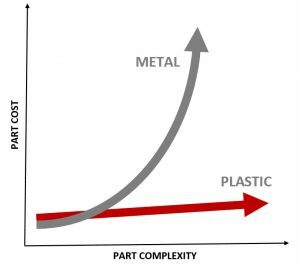 The benefits of thermoplastics go beyond lightweighting. Interiors for aircraft, coach and city buses, trucks, and passenger rail cars require the use of flame retardant materials that meet smoke and toxicity standards. More specifically, all coach and city buses in the United States must meet the U.S. Department of Transportation Docket 90 safety specification for flame spread and smoke emissions. Motor Vehicle Safety Standard 302 Fire Test requirements apply to interior trim parts used for trucks. One example of a material now commonly used for interior aircraft components and interior rail applications is amorphous polyetherimide (PEI). This superior thermoplastic material complies with flame, smoke, and toxicity standards while providing strength and aesthetic appeal Along with meeting compliance standards, PEI thermoplastics also resist damage caused by exposure to halogenated hydrocarbons, alcohols, and aqueous solutions. In addition, PEI thermoplastics resist warpage when exposed to heat for long durations because of a heat distortion temperature rating of 350o F.
The manufacturing process for fiberglass emits high levels of volatile organic compounds (VOCs). In contrast, the use of very long fiber-reinforced polypropylene (PP VLF) thermoplastic compounds reduces levels of VOCs to compliance with the open air and enclosed application specifications set by international legislation and automotive OEMs. In addition, the PP VLF thermoplastics meet or surpass standards for odor and fogging. Parts manufactured from fiberglass cannot be recycled. However, parts made from PP VLF thermoplastics can be recycled, have a lower life-cycle energy footprint and a lower life-cycle greenhouse gas emissions. Manufacturers of mass transportation components use PP VLF thermoplastics for instrument panels, overhead and center consoles, seating, and storage bins. Thermoplastics can improve the aesthetic design features of interior components used for mass transportation vehicles at a fraction of the cost required to obtain the same level of complex designs with other manufacturing processes. 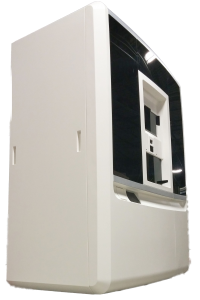 Low or high gloss surface finishes, custom surface texturing, complex geometric part design, and coloration are all capable, cost feasible, and can be manufactured quickly with the thermoforming process. In-mold design and decorating enables the manufacturing of these high-level design features, resulting in part construction with consistency, precision, and a negligible impact on part cycle time. While in-mold texturing and pre-textured plastic may require a slightly higher initial investment than a simple design, the process ensures consistent part-to-part aesthetic detailing and minimizes cost by eliminating additional labor or processing. As a result, in-mold design can produce complex designs and custom surface finishes with a minimal impact on cost and lead time. The use of thermoplastics in component production also provides the option of producing plastics with coloration. Thermoplastic providers can produce integral colored materials that resist stains, graffiti, and chemicals and that do not chip or vary in tone or color. Moreover, using integral colored plastic eliminates the added cost and lead time of post-production painting. Coloration allows manufacturers to achieve a desired color finish and precise color matching along with durability. 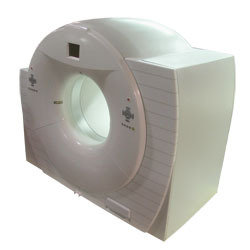 The technique also allows providers to offer thermoplastic components that have specialty finishes, such as wood grain or metallic patterns and overlays, for a greater range of design capability. Aesthetic appeal also is achieved through geometry and a seamless appearance. Thermoformed materials respond to the desire for design freedom through the versatility in the fabrication process, pliability, and the capability to transfer imaginative design to a usable product. Manufacturers can take advantage of the thermoforming process to build complex geometric designs with precise part mating and give the appearance of nearly seamless multi-part assemblies. Again, these complex designs are accounted for within the part’s tooling, with minimal impact on cost or lead time. Productive Plastics is a heavy gauge thermoforming custom components manufacturer, with vast experience with thermoplastic manufacturing for transportation applications. Contact us for more information. The team at Productive Plastics has put together a comparison guide for converting parts and components from metal to plastic thermoforming. The guide is full of useful information from basic overviews to technical comparison data on materials and processing. I am pleased to announce the addition of Carl Foehner Associates to the sales team at Productive Plastics. Carl has over 40 years of experience in the plastics industry, with the greater part of his career invested in engineering sales and supporting thermoforming technology. His diverse experience in disciplines paramount to our industry enable Carl to provide insight and guidance to customers during the entire development process; from product design to final production. Carl will be working closely with our VP of Sales, John Zerillo and the rest of the Productive Plastics team to bring our customers the highest level of service, quality manufacturing, product development, and rapid solutions for the production of custom plastic thermoformed components. I invite you to connect with Carl to discuss how Productive Plastics can contribute to your project’s success. Seasons Greetings – Help Productive Plastics Spread Holiday Cheer! Productive Plastics is looking for your help. In a effort to provide you with better solutions for your custom plastic thermoformed parts and projects, we reach out to professionals in the industry each year, seeking feedback on your experiences with either our company or other custom manufacturers. We have put together a short 5 minute survey that will help us understand what facets of the custom component manufacturing process are key contributors or challenges to the success of your projects. In recognition of your time and in the spirit of giving this time of year, Productive Plastics will make a $5 donation tothe Lifesong for Orphans organization for every completed survey. All and more are influenced by your responses. Your input will help the team at Productive Plastics provide better solutions to your custom plastic thermoforming needs and support a truly charitable organization. Thank you in advance for your help. Here are a few questions that we hear regularly at Productive Plastics regarding fiberglass and plastic thermoforming. What is the difference between the fiberglass and plastic thermoforming manufacturing process? 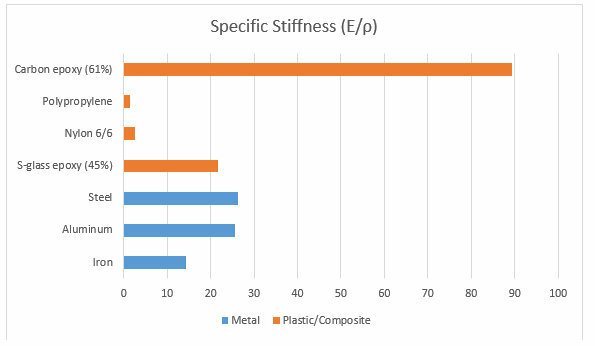 How do plastic thermoformed parts compare to fiberglass molded parts? What are the benefits and process of converting my part from fiberglass to thermoforming? To answer these common questions and help you determine which process best meets the needs of your project, the team at Productive Plastics has put together a comparison and conversion guide for fiberglass vs plastic thermoforming. The guide is full of useful information from basic process overviews to technical comparison data on material and processing. Follow the link below to instantly download a PDF copy of the Fiberglass vs Plastic Thermoforming – Comparison and Conversion Guide. Transitioning your product manufacturing process from fiberglass to plastic thermoforming can allow you to capitalize on some major upgrades, benefits, and cost savings for your project. (See some of the advantages of plastic thermoforming vs. fiberglass in a previous post). However, the process of transitioning from one manufacturing material and process to another, and doing it correctly, may be more complex than simply handing over the existing design and tooling. Below are the basic steps and considerations for the transition process that Productive Plastics has found to help ensure you get the best results from the conversion. Plastic thermoforming encompasses a number of sub processes such as vacuum and pressure forming. Consult with your thermoformer to aid in selecting the ideal process for your application. Visit our thermoforming process pages for more information on each process. Select a thermoforming contract manufacturer experienced in processing a wide variety of material options with a strong understanding of those material properties. 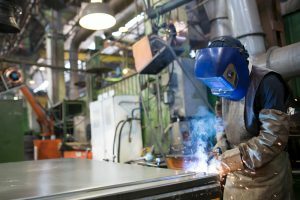 Choose a manufacturer with experience in converting applications from fiberglass to plastic thermoforming to avoid common pitfalls that can delay or increase the cost of the transition. Strong consideration should be given to a manufacturer with in house design engineers. The onsite expertise will help to ensure a smooth technical transition from fiberglass to plastic thermoforming. Select a manufacturer that is up to date with best practice methodology such as ISO, Lean Manufacturing, Six Sigma, etc. Manufacturing techniques, process capabilities, and material properties differ from fiberglass to plastic thermoforming. This is a good thing. The differences are what motivated you to consider converting your product in the first place. These differences will, more than likely, necessitate modifications to your existing design and tooling to meet your product’s needs and to maximize the advantages available with the thermoforming process. A design engineer, with plastic thermoforming experience, can adapt your product’s design to harness the benefits of the thermoforming process. (Productive Plastics utilizes our experienced in-house design engineers to help our customers with process conversions). An important consideration when manufacturing a thermoformed plastic part is the selection of appropriate material. There are a multitude of different types of plastic materials, each with their own specific characteristics, properties, strengths, and weaknesses. 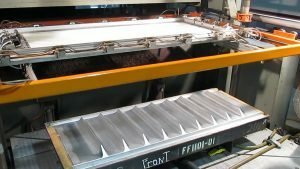 Communicating your product’s requirements and industry material standards early in the conversion process will allow your thermoformer to assist in selecting the ideal material for the application. Learn more about thermoforming material considerations and options. Properly designed and constructed tooling sets the foundation for tight tolerances and a high quality part. 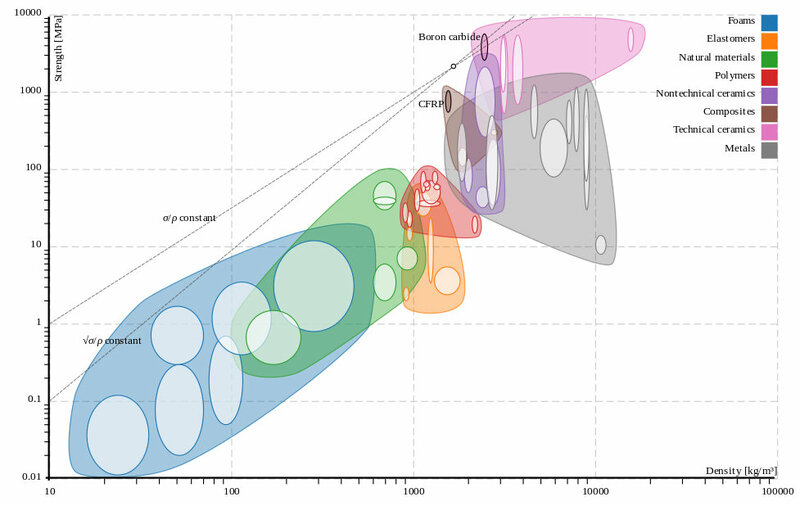 This becomes increasingly more important for complex and multi-part designs. Having your existing tooling evaluated by your thermoforming contract manufacturer as early in the transition process as possible can have a large impact on the lead time of your first part run. Choose a thermoforming contract manufacturer experienced with tooling materials options and processes to assure the right tool choice for your application and product life. Prototype development should be considered with a testing plan that includes dimensional as well as properties evaluation. Engaging in early involvement, support, and collaboration with a thermoforming manufacturer, like Productive Plastics, can aid in creating a successful verification plan.